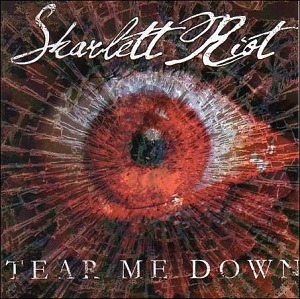 Skarlett Riot are a young band from North Lincolnshire. The band only formed in 2010 but have already released two EPs - a self title release, and the Villain EP. Now they're about to release their debut album - Tear me down. The band have already shared stages with bands including Heavens Basement, Reckless love, Firewind, Black Spiders, Crashdiet and many more as well as playing festivals including last year's Bloodstock festival. Two of the tracks on the new album will be familiar to fans who bought the band's Villain EP - "Villain" and "Party hard", so if you haven't got the EP then buying a copy is a good way to get an early listen to two of the songs from the album. "Rock n roll queen" is one of my favourite tracks on the album - a great track. "Villain" is a very strong track - the fact it's one of the only two songs from their EPs to make it to the album is probably a sign of that. It's a great song with a good strong chorus and there's plenty of power and energy in it.